I may have to put out a search warrant for my sanity. Help! I haven't done exams in over a year and a half so these are a real test (no pun intended!). In Sweden I did have tests but they were in a classroom; nothing compared to the exam conditions here where you have to show your ID and sit in a huuuuge hall. I didn't used to mind exams but now I'm finding it hard to fit all the things I've revised into one answer. I hadn't left the house for a week until today as I was revisingrevisingrevising and was having crazy cabin fever! I have two more exams next week on Thursday and Friday so I'll try to get out and revise in the library on some days, although here they are insanely busy right now. The 24 hour library is manic! I considered changing my sleeping patterns totally to avoid the crowds but I think daylight is a key contributor to your sanity. I can't wait until Friday!! It's my housemate's birthday tomorrow and she's had/has an exam nearly every day this week, poor her! Don't worry, I have some secret surprises for the big day tomorrow and we are going out next Friday. I popped into town after my exam today for an eye test and tried to book a makeover at MAC but could only get one at 1pm! So I'll go straight there after my last exam, then possibly have a little sleep in the makeup and hopefully it will last until the evening when we actually go out! I suppose I was going to spend £25 in there anyway as I have a few things on my wishlist, and the makeover will be like a bonus. Always great if you're unsure what shapes/colours suit you. My new camera (well, second hand off eBay) came on Monday and I was going to do a photo on the hour post a la Rebecca of The Clothes Horse, but they would have all been photos of my revision notes, so here are a few that sort of sum up an average terrible day at the moment! So I did get new gels in the end, mainly because I couldn't communicate that I just wanted them off to the nail technician! However I did learn some Vietnamese. They cut back my middle finger cuticle too much though and it was really sore! 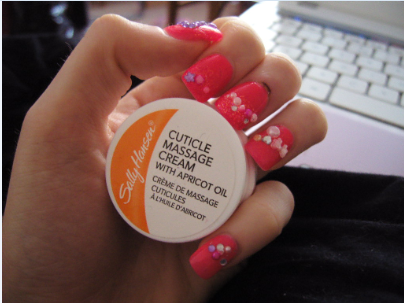 I got some of this cuticle cream as my natural nails are now sooo weak. 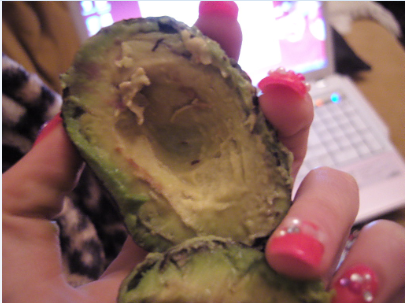 It's OK, but I think a hand cream would do fine with extra attention paid to around your nails. I'm keen to do my nails again but there's no point in wasting supplies if I'm going to be indoors. However I bought some fabulously large gems in the Paperchase sale today! My other housemate has no exams this term (lucky!!!) so it's just the birthday girl housemate and I going revision crazy together. We only have one laptop between us since the burglary too so we have some breaks where we watch a Youtube vid or stupidly waste time, for instance last night when we made an early 2000's playlist for her birthday party for about three hours. Not a constructive use of time! But very, very funny. It's here if you care to see! I had a bit of a mind blank when I came to revise because I don't remember how I used to do it! 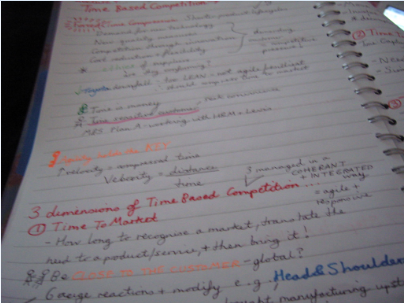 I always write out neat, colourful notes though to start with; I can't revise off a page of plain notes! I need to make triggers to remember each point. I might have to join the Blackberry world because almost every person I know has one. I have this Nokia X6 phone that they actually sent me and I think it's worth quite a bit of money, I'm not a technology buff though! I've had it for a year but they sent it to try rather than blog about, but now it's a bit useless as the free music download thing has ended. Also I didn't pay my last phone bill as I had to cancel all my bank cards when they were stolen, and now Orange has blocked my phone! So I can't ring up for help because I can't make any calls! I'll have to borrow a friend's phone and possibly sit on hold for ages, urgh. Anyone who's texted me in the past few days probably thinks I'm not interested or very rude! 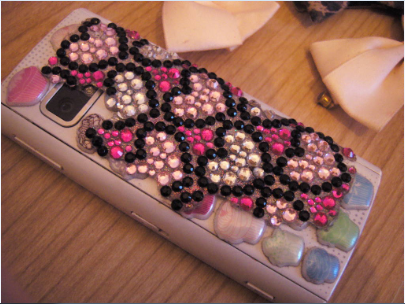 If I did get a Blackberry (the lilac one of course), I'd bling it up like this phone. I originally had Paperchase cupcake stickers but got this jewelled sticker from a cheap shop near the Bullring; sadly it's all peeling off! 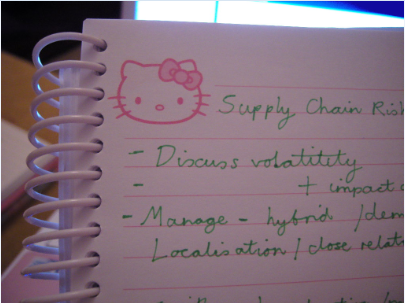 I need so many felt tips to revise! 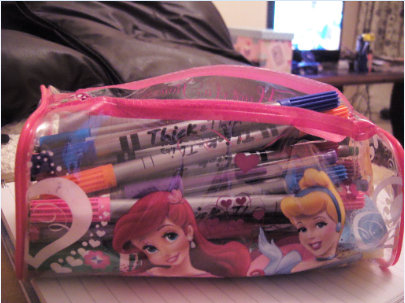 I think the pen you use in an exam is very important too. Today I didn't finish in time and was writing so speedily near the end. Annoyingly there's always some that leave the exam early- I never do this! Ever! How can you finish in time and be 100% sure your answer is perfect? I don't think I've ever finished an exam early, ever, apart from maybe for Further Maths A Level when I accepted I really would not be getting a great mark and couldn't possibly answer anything! 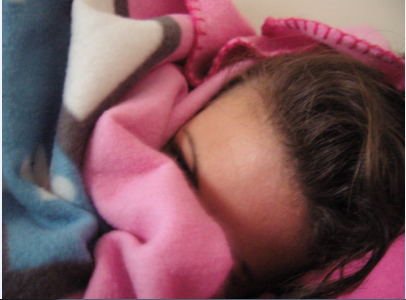 The camera I got is the same as my old one but a little better (a Samsung Nv15), and it's pink! I have pink everything. Everything. Though I really don't want to graduate while still being in my overdraft so I'm trying to drastically curb my spending this year. This starts by continuously going through all my products, makeup and wardrobe to revive forgotten items, and making my things feel really special. That's if I do actually graduate; please pray I haven't failed any exams!!! 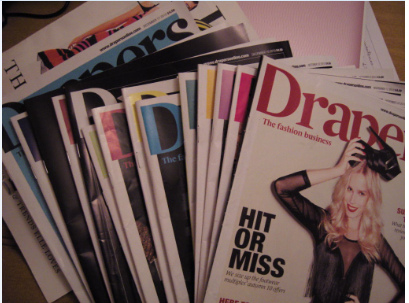 If you do a fashion or textiles based degree (I do Management and Marketing of Textiles), you need a subscription to Drapers!! 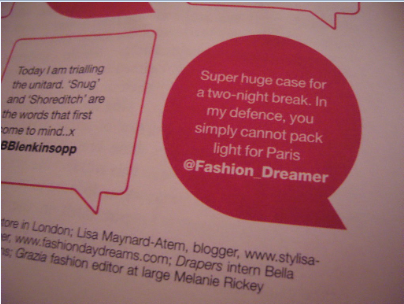 I was very pleased to spot a printed tweet from Reena of Fashion Daydreams! 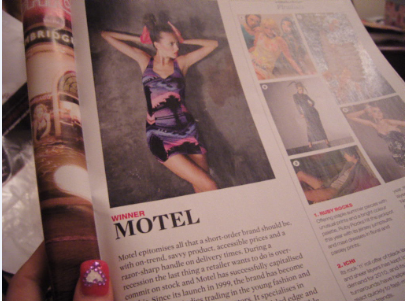 And also Motel as the winner of the short order and quick response award! Remember you can get 20% off with my code in my sidebar <<< and I get commission if you use it! 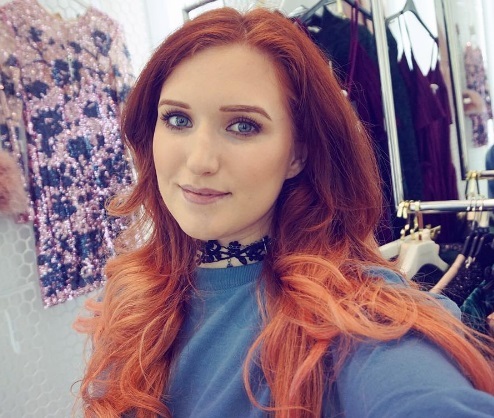 I went into Topshop today in the Arndale Centre and spotted the floral dress with the mesh cut out's across the middle that I posted about a few days ago. It is pure love but I can't buy any clothes at the moment! Sob! On Youtube they have a tag called 'Project 10 pan', where you don't buy makeup until you've hit the metal pan at the bottom of a product on ten different products. I wonder if I should start Project 10 Hole, where you actually wear your clothes until you wear them out! It took me about ten million years to re-read my issues but at least they offered some examples for my exam answers! Not that I could fit many in though, a two hour exam goes so quickly. In Sweden they were four and a half hours long!